This custom built waterfront home is located on Bell Island, a private waterfront community in Rowayton, CT. Great open floor plan with sweeping views of Long Island Sound and Sheffield Island. Calm neutral interior. Lovely outdoor spaces on both sides of house with a private patio under a pergola in the front and a deck with large lounge-y couch on the waterside. 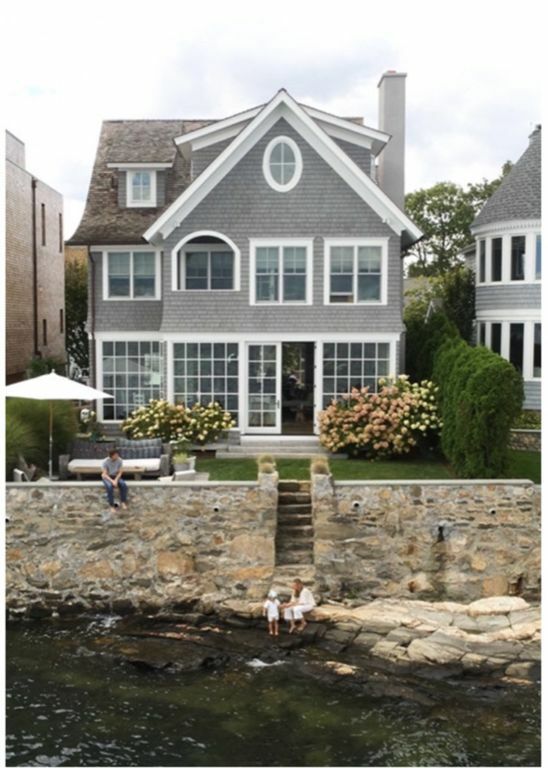 Direct access via steps from lawn to Long Island Sound where you can kayak, paddle board and swim. First Floor: All open with large floor to ceiling windows and french doors looking out onto Long Island, includes kitchen, living and dining areas. 1 bedroom with a twin bed - set up for a baby/toddler/kid. Third Floor: open family room/ playroom with a half-bath. The home is located at the end of a quiet cul-de-sac. There is a private and very beautiful waterfront park right next door with views of NYC. Access to 2 private beaches both a block away, one with an excellent playground.